I had some unused new sheets (white for the front and grey for the back) that were calling me from my closet "please pick me!! pick me!!! ", and in addition I ordered 10 different prints for the circles. The Just Dreamy Collection and the Rainy Days Collection both by Riley Blake. For the binding I used a satin grosgrain ribbon, and machine stitched it in place. 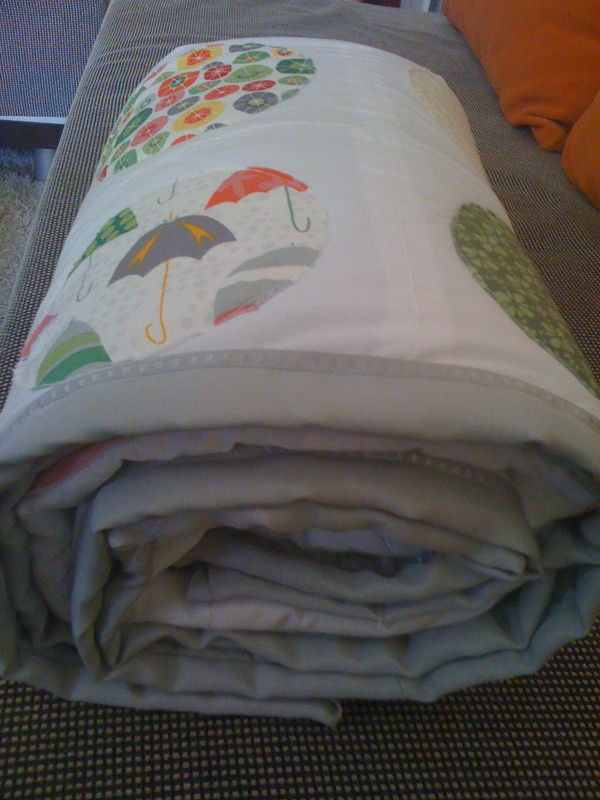 Later on, thanks to all those lovely ladies who commented on my quilt, I found out that satin binding is much harder to handle than a cotton one. If only I knew earlier! 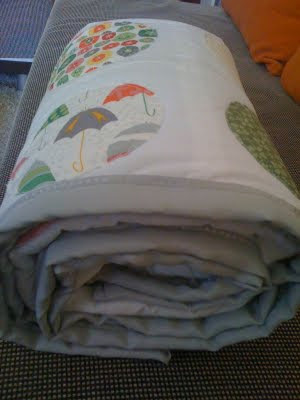 So after app 4 weeks of sewing (started on Feb. 23 and finished on March 18), reading and again the tutorial and watching this video on how to bind your quilt I managed to complete it:) I was delighted with joy!!! It has been so warm on those cold winter days, when staying in and watching movies:) Now it rests happily on my couch, and it's also Dido's (my cat) favorite spot!! I'm sharing my quilt story (for the first time) with all those amazingly talented quilters at Amy's Creative Side Blogger Quilt Festival. Just head over at Amy's and see all that inspiration:). 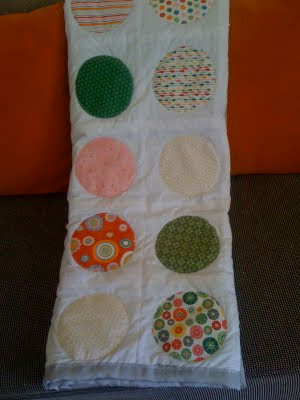 Hello Eleni, this is a wonderful quilt, I want to try circles too. And you were right, I did find things to read and inspire! Such a happy quilt. Beautiful! Wow, you did a wonderful job! What a great first quilt! Watch out, this quilting thing is addictive ;) And you used some of the same fabrics as I did for my Blogger's Festival choice. Isn't Riley Blake great? What an inspiration. Love this quilt. So cute! 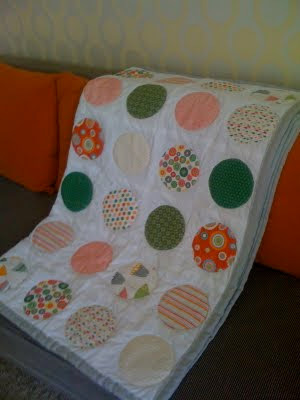 I have been dying to do a circle quilt, and this might be just the inspiration to get me sewing. Wow! A circle quilt for your first quilt. I keep putting off doing one. 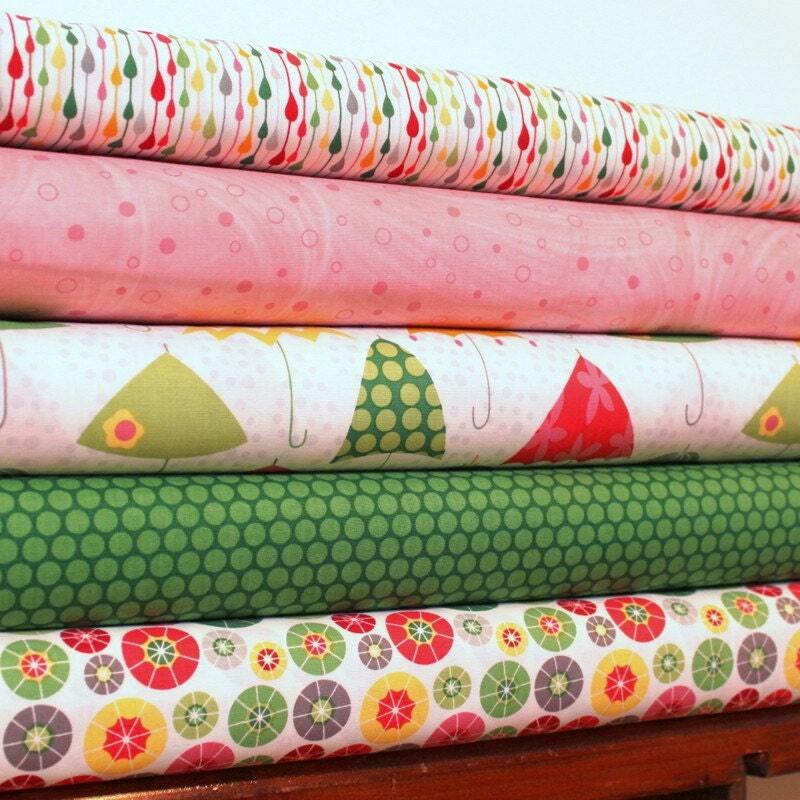 You've hit pay dirt gal, you're a quilter now!!! What a beautiful quilt! I love the colors you choose. Very cute! Yay! You came! What a lovely quilt :) Linking this up with us and the tea time pillows made the Creative Bloggers' Party & Hop better and more special. Thank you! I love the quilt and your willingness to just jump in and do it. You are so brave! What a lovely quilt - good job! Gorgeous quilt! 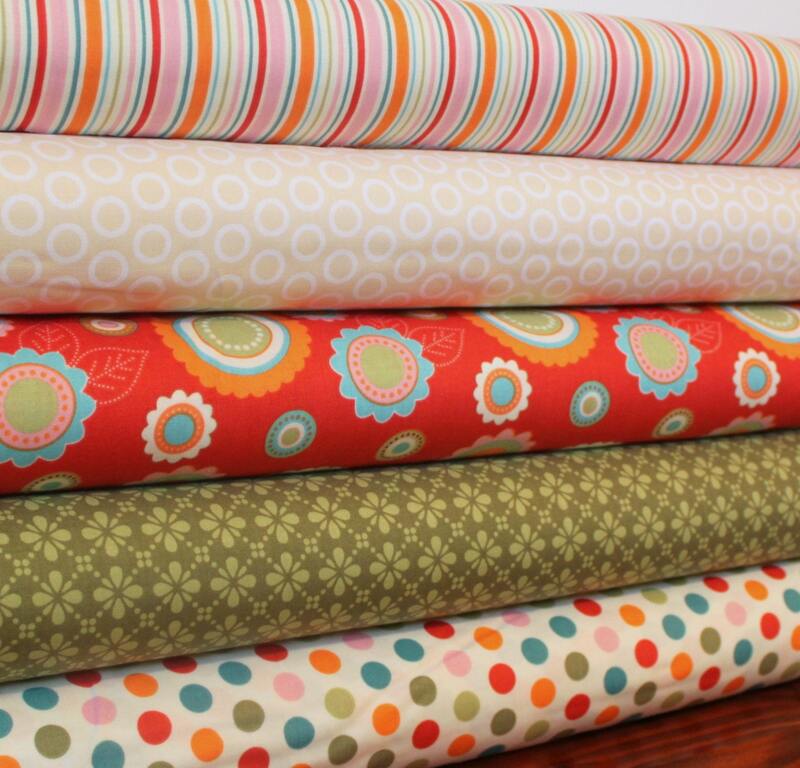 Great fabrics. Your quilt looks wonderful.